Let’s start with the heart of every business – the product(s). 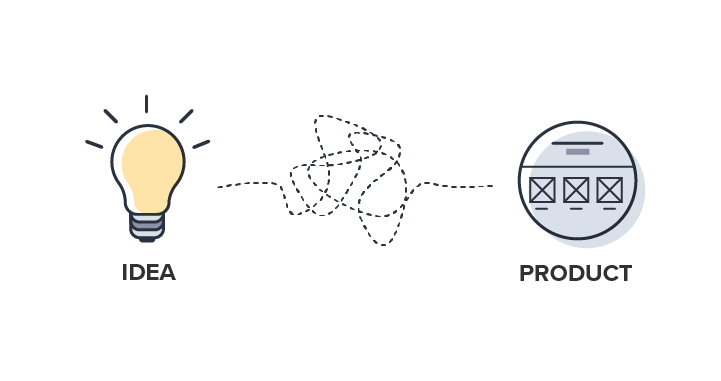 Why is a product development process important? In short, because it is the foundational process that provides you with the greatest opportunity to maximize the value you bring to customers and help the company grow, not to mention positively impacting society with reliable, functional tools. How your team goes from ideation and concept generation to introducing the product to the market is, in other words, a business-critical process. It is also one that will always have room for improvement because it is subject to time. As your business grows, product lines expand, and unforeseen market changes demand you to adapt, so too will your product development process demand optimization. In addition to conducting thorough research and testing, it is also imperative that development teams maintain strong communication with customers throughout the development process, to refine the product according to the feedback they receive. The Wall Street Journal discussed the importance of this point in The Path to Developing Successful New Products. After surveying more than 300 employees at 28 companies, they found that more than 80% of the top performers said they periodically tested and validated customer preferences during the development process, compared with just 43% of bottom performers. And so, it’s clear that a lot goes into successfully developing a new product. The template embedded below is a basic project management checklist that provides a framework to shape your product development process around, and can be easily customized as you see fit. A heart cannot beat without blood, and a product cannot be used without being sold. Following product development, sales is the next giant in our list of top 10 business processes. 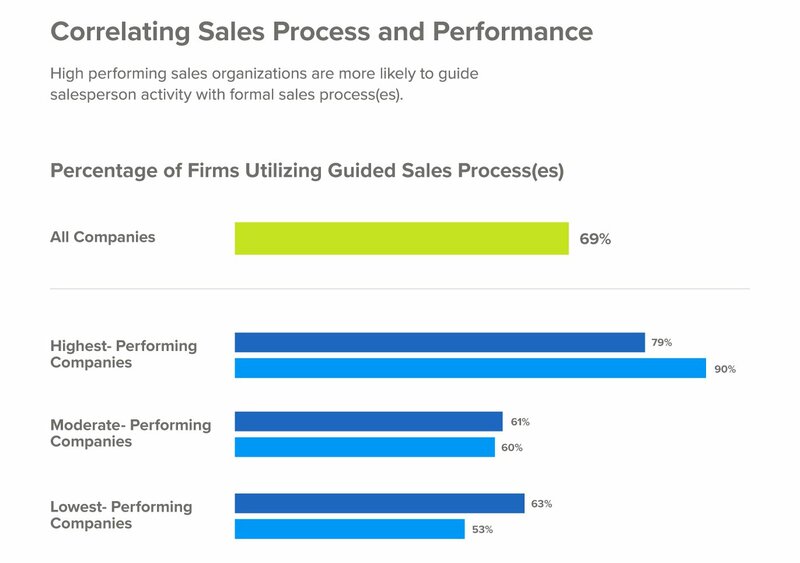 According to the Sales Management Association, 90% of the highest-performing companies use a formal, guided sales process. This is compelling, but hardly surprising, especially to those of you who have first-hand experience seeing the before and after of implementing a formal sales process. It’s on our greatest hits list for a reason. The sales process is a great example of one that contains lots of sub-processes, all of which are equally important to closing a deal. A sales process will go through the various stages of the buyer’s journey, along with specific tactics and guidelines for salespeople to follow at any given stage. Within each stage there are various other processes that can be defined, documented, and managed for high levels of productivity and sales execution. Such processes include qualifying a lead, creating a compelling pitch deck, presenting a demo, and ultimately handing over a new customer to the customer success team. The template below is for a standard BANT sales qualification call to guide sales reps through the process of effectively understanding a prospect’s needs and identifying the best way to address them. All Process Street templates can be integrated with CRM software like Salesforce and Close.io as well as other sales tools to automatically pass data back and forth, collaborate with team members, complete tasks, and ultimately improve sales productivity. Procurement is a lot more than just purchasing. It involves selecting vendors, establishing payments terms, strategic vetting, and negotiation as well as the actual purchasing of supplies. 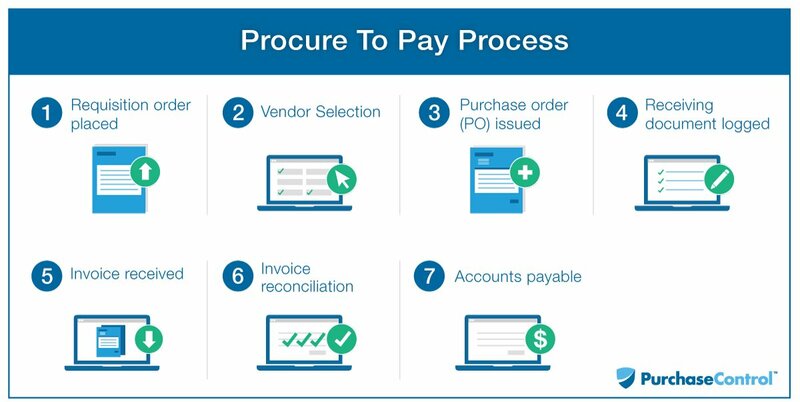 All of these processes are essential components of what is referred to as the Procure-To-Pay Cycle. A streamlined procurement process brings many benefits to business performance. Firstly, you want to build strong, trusting relationships with your vendors. Doing so will eliminate a huge amount of frustrating and costly misunderstandings arising from poor communication. Furthermore, strong vendor relationships are much more likely to enable you to explore potential advantages like year-over-year price reductions, quantity discounts, and improvements in quality. Secondly, a well-documented and executed procurement process will enhance your ability to continuously identify and evaluate opportunities for a more cost-effective strategy, as well as the ability to foresee potential shortcomings that risk slowing production and/or will require additional staffing or external assistance. In other words, it allows for the monitoring of the procuring process to determine how actual performance compares with planned activities, and alerting the relevant departments accordingly to make adjustments. The template below is a purchase order workflow checklist that guides you through the process of creating a purchase requisition, receiving approval (both internally and from the vendor), creating the official purchase order, and confirming delivery details. By integrating this checklist into your current processes, you can automatically assign tasks to the relevant individuals, pass important data to and from your vendor management tools, communicate directly with vendors, and track the progress of every purchase order in real-time. How you onboard a new client is heavily dependent on your industry, business model, growth strategy, and numerous other factors. Regardless, it should always be a core area of focus given the increasing importance of customer loyalty in today’s digital economy. Research by Bain & Company found that increasing customer retention rates by 5% increases profits by 25% to 95%, and it is widely agreed in the SaaS community that the cost of acquiring a new customer is anywhere from 5-25% more expensive than retaining an existing one. Companies, particularly in the SaaS space, can no longer afford to leave new customers to their own devices as soon as they’ve sealed the deal, as they may well feel disengaged and commit to an alternative before they’ve even had the chance to realize the value of your product. There are simply so many alternatives out there, and customers can stray with just a few clicks. And so, there’s no doubt that a well-refined onboarding process for new customers is incredibly valuable. The primary goal is to make the handoff from sales to customer success as smooth as possible, swiftly followed by a welcome packet and continuous education by the account manager to demonstrate the best ways to use the product in a way that is tailored to the customer’s specific needs. We know how to help you make that happen, every time, without exception. 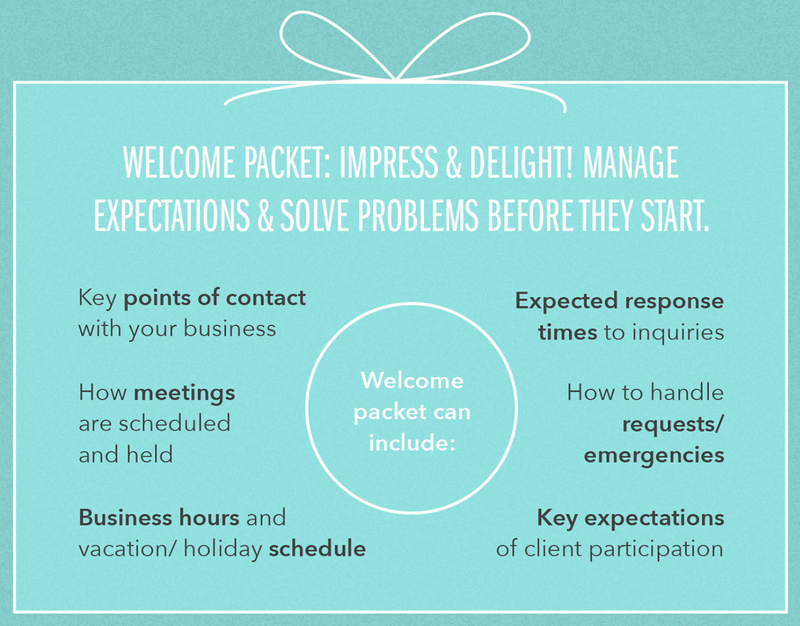 Developing and helping you establish effective processes for client onboarding is our bread and butter. We have a variety of industry-based templates, from marketing agencies to financial planners, that provide a comprehensive, actionable guide to onboarding new clients. They are some of our most popular templates, enabling companies like DenaliTEK and Wodify to build long-term, fruitful relationships with happy customers. Below is a client onboarding checklist for marketing agencies. The checklist can be integrated with your CRM to automatically create and populate a new checklist with customer data when a lead status, or another trigger of your choice, is changed to record the transition from lead to customer. You can also set up numerous other automation rules to assign tasks, attach files, add comments, and much more. No manual work required. Listed are a few other of our client onboarding templates. You can find the full list, along with a description of each, here. I mentioned in the previous section that once the transition from sales to customer success is made, the account manager must educate the customer on how to use the product to extract the most value. Well, this is to be paired with offering constant support in the most informed and responsive way they can. Of course, no one wants to be pestered all the time with offers to help, that’s not what I’m saying. Rather, it’s about managing incoming support tickets in the most efficient way possible, and having the willingness to speak on the phone for half an hour to resolve issues experienced by the customer. These processes do not need to be complicated, just effective. If, however, you are of the opinion that providing support on the fly is good enough and you don’t need formal processes, here’s why you are wrong. Below is the customer support template we use to manage our support tickets at Process Street. It is short, simple, and effective. After filling out some basic info about the ticket, the customer support rep selects what “type” of ticket has been received, depending on the type of question/issue raised by the customer. It’s a straightforward way to create an audit trail of all support tickets and ensure they are responded to as fast as possible. We encourage you to integrate the checklist with your support software, such as Intercom, so that a checklist is automatically created and assigned to a support rep when a ticket has been received. 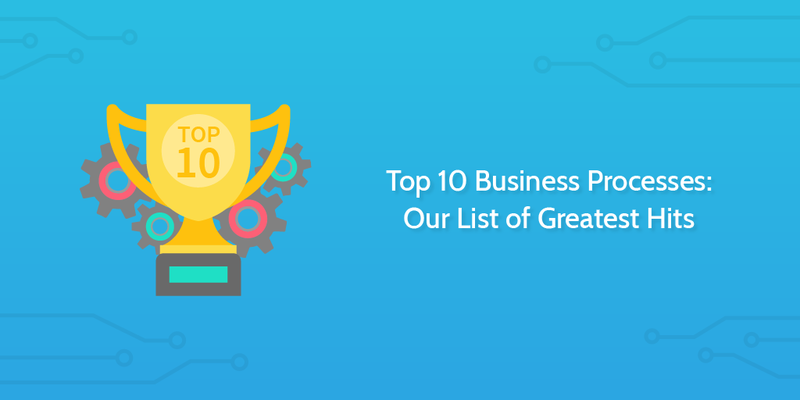 The rest of the top 10 processes in our greatest hits list are internal. We’ve covered sales and customer success, now the focus is on managing the processes that keep your business running smoothly and, hopefully, growing at an extraordinarily fast rate! The first major one to tackle is employee onboarding. Research conducted on the importance of a good onboarding experience is compelling, to say the least. 69% of employees are more likely to stay with a company for three years if they had a successful onboarding experience. New employees were 58% more likely to stay with an organization for more than three years if they went through a structured onboarding program. Organizations with a standard onboarding process benefit from 50% more productivity from new hires. It’s hard to turn a blind eye to such significant numbers. So far, we’ve developed 6 employee onboarding checklists that you can choose from to set up a formal process. Below is a general onboarding checklist that guides you through onboarding a new hire, from before their first day to the end of their first month. To better understand the impact our onboarding checklists can have on your business, check out how A-Team Lending made employee onboarding paperless, and how Renegard uses Process Street to improve productivity, quality control, and employee onboarding. Next up, one of the main driving forces of marketing – promoting content. There are so many outlets these days to help you reach potential customers from all over the world, but how are you making sure that you are effectively utilizing every channel you have at your disposal? 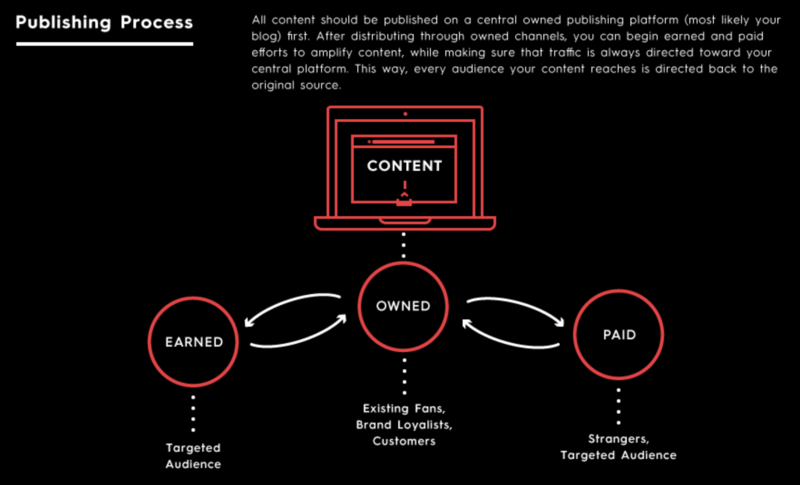 Additionally, what steps are you taking to optimize your content for SEO and content syndication? Formulating a clear document to manage the content promotion process and instilling it in a digital checklist powered by automation means that you can verify every piece of content you create is being prepared and promoted exactly as you want it to be. For example, a lot goes into planning, writing, reviewing and publishing a blog post, it’s normal to feel like the hard work is over once it’s gone live. The most important work, in terms of marketing success, starts as soon as you press the publish button. Think of it in terms of sales. A customer has just signed the dotted line, amazing, you’ve closed a big deal after months of hard work. But now the real work begins – onboarding the customer and providing ongoing support to retain them for as long as possible. The same goes for blog posts and other forms of content, its success lies in the measures you take to promote after it has been published. Below is a content promotion checklist that will guide you through a comprehensive promotion process, from inserting deep-links to sharing on social media and even repurposing your content to maximize its value, both externally and internally. The world of finance is complicated. There are countless rules and regulations that must be complied with, and its lucrative nature makes it an attractive industry to work in for many youngsters, which in turn raises the importance of thorough planning and preparation to make up for a lack of experience. A more seasoned financial manager will undoubtedly have a process for completing various tasks, but they are likely undocumented and cannot be followed dynamically through a digital checklist, so there is still room for improvement. And what better way to prepare than by working through a process embedded in a checklist that ensures you are doing everything you need to, and then some. The template embedded below guides a venture capitalist through the startup due diligence process, and has proven to be one of our most popular templates. It is a comprehensive checklist, taking you through various aspects including evaluating the founding team, financial viability, competition, and legal analysis, racking up a total of 43 tasks. There is a lot of responsibility that comes with managing a company’s accounts and creating legally compliant reports, from budgets to cash flow statements and balance sheets. It’s tricky business, and slip-ups simply cannot happen. If and when they do, as human error is inevitable, it can have severe repercussion for an organization both financially and in terms of their reputation. These kinds of tasks that have to be done right, on time, every time, without fail, are exactly the kind for which formal processes are most appropriate, and important. While human error cannot be completely eliminated, it can be minimized with clear, enforced processes that are tracked in real-time to prevent releasing any false or incomplete information. We work with a number of accounting firms to help them ensure that every process is being executed the way its supposed to. In our template library, we have over a dozen accounting templates that range from onboarding accounting staff to invoicing clients, to bank reconciliation and end of year reporting. The template below is an accounts receivable process that is designed to, well, help you get paid as fast as possible! There is conditional logic built into the template. Task 3 requires you to fill in a set of basic details concerning the buyer, and then asks you to answer two questions that will add or remove tasks based on your answer. Is this the first time you are expecting a payment from this buyer? Are you providing the buyer with goods or services? If you select “Yes” for the first question, for example, then 3 previously hidden tasks under the subheader “Establish your credit practices” will appear. Through our integration with Zapier, you can connect all these checklists with the accounting tools you already use, like Quickbooks, Freshbooks, and Xero. Business processes are created to be continuously refined and must be adaptive to how your company is evolving. Some processes will naturally be less susceptible to change than others. Client and employee onboarding processes, for example, are much more likely to require adjustments than the process for creating an annual financial report. Nevertheless, all of them can be adjusted to be more efficient as you gain real-life insight into how they are being executed by your team members and have to meet changing legal requirements. It is, therefore, tremendously valuable to have a solid process for process optimization, because it allows you to accurately evaluate how well it’s working and identify areas that can be tweaked without disrupting daily workflows. Not only can you implement changes quickly, but running through a simple process in the form of a digital checklist means that every change you make will be recorded, along with who made the change, when, why, and how. Every detail is there for managers to review if and when they would like to. So you can make changes with minimal wasted time and effort, and at the same time increase business transparency. Below is a template for optimizing a process. It begins with answering a number of pertinent questions regarding the process that you are looking to optimize, such as activities that advance it, the relevant department(s) and team members(s), and information that is carried over between the steps. It then guides you through rethinking the methods currently used, removing non-essential steps, and thinking about which steps could be automated to minimize unnecessary manual work. What do you think of our list of greatest hits? Is there another beast of a process that I’ve missed? How are you getting on with the checklist templates? Let me know in the comments below!